The Amazon Echo is without a doubt one of the most popular gifts of this holiday season. The cylindrical hands-free speaker and personal assistant offers something for everyone. It can play music from your Spotify playlists, read your kids a bedtime story, answer questions, give you the day’s news and weather forecast, keep track of your spending, help you shop online, set alarms, connect to other smart devices, and much more. The Echo accomplishes all of these feats with the help of advanced voice recognition technology and cloud-based applications. By simply calling out for the Echo’s voice assistant, Alexa, the device will record your query, upload it to the cloud, analyze the data, and return an appropriate response. It’s kind of like Siri on the iPhone, but for your home instead of on the go. In practice, the two are very similar. The Home is a bit cheaper at $130 compared to the Echo at $180. The Home can also sync with any device that supports Google Cast, such as Chromecast and Android phones. The Echo works with Bluetooth and might be better suited for home automation. Each can perform some tricks that the other can’t, but they share one major concern: privacy. The fact that these devices are always listening for commands by default brings up several privacy issues. We aren’t saying the Amazon Echo and Google Home aren’t secure. All of the communications between the device and the cloud server are encrypted, so anyone who attempts to intercept your queries won’t be able to decipher them. The bigger issue is not security, but privacy. How much do you trust Amazon, Google, and all of their affiliates? How much do you trust the third-party developers creating apps to be integrated into Echo and Home? How much do you trust your family members and house guests? Barring a data breach by hackers or government intelligence agencies, that’s still a lot of vulnerabilities. Hit the Mute button on top of the device when it’s not in use. This will turn off the “always listening” feature so it cannot be activated until you physically unmute it. Delete old recordings. You can use a web-based dashboard on Amazon’s “Manage my device” page to wipe your history clean or just delete individual queries. Note that doing so can prevent the Echo from “learning” and result in less useful or accurate results in the future. Don’t link important accounts to your Echo. It might be tempting to be able to ask Alexa how much money you have left in your checking account, but it’s best to keep that sort of activity off a device that anyone can activate. Comment threads are already full of anecdotes about kids ordering candy and toys online without their parents’ knowledge. If it involves money or something else important, keep it off the Echo. 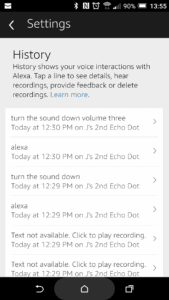 Configure Alexa to give an “end of request” tone to let you know when it’s stopped listening. Will this prevent Amazon from collecting and analyzing tons of personal information about you and then handing that data over to third parties? Not a chance. That’s the price you pay for convenience. But it does make you more difficult to profile for Amazon and any unknown third parties. Mute the microphone using the touch panel on top of the device when not in use. This will stop all recording capability until physically reactivated. Delete conversation history and block certain types of information, such as your location, from being shared with Google. All of the data that Google Home collects about you is stored in the same place as all of the other information Google has on you. This can mostly be managed through the My Activity settings in your Google account settings. There’s a lot to comb through there, so check out our tutorials on how to delete your account history and how to prevent tracking on Google. Don’t link important accounts to Google Home. If it involves money or private information, keep it on your personal devices. Google Home cannot differentiate between your voice and a stranger’s or your kid’s. You don’t need to be able to call an Uber from your Google Home. It’s easy enough on your smartphone. Pay attention to the LED lights that indicate when Google Home is listening. Sometimes it will be triggered by accident, possibly at an inopportune time. Note that even if you delete information from your Google account, Google will still store some information about you. Google keeps service-related information about your account, like which Google products you used and when. If GPS location services are denied, your IP will be used to approximate your location. Not everything you say is recorded and sent to Google. 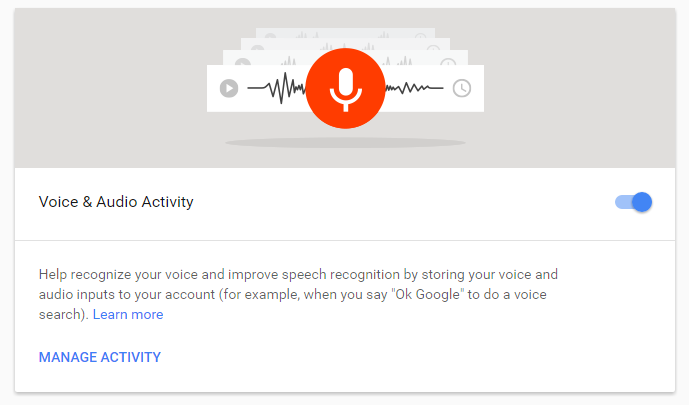 It constantly listens in short bursts for the hotword–“OK Google” by default. Once the hotword is detected, it will start recording a query and upload it to the cloud. If the hotword is not detected, no information leaves the device. 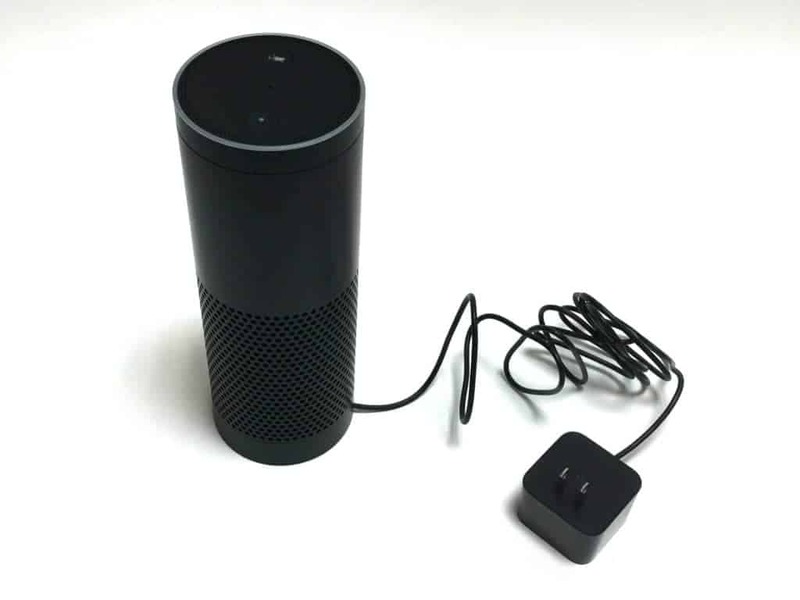 Neither Google Home nor Amazon Echo allow the device to be muted via a voice command. Instead, they must be physically muted. In the future, we would love to see the option to disable the always-listening feature with a simple voice command. It would be much more convenient and these devices are, after all, all about making life more convenient. 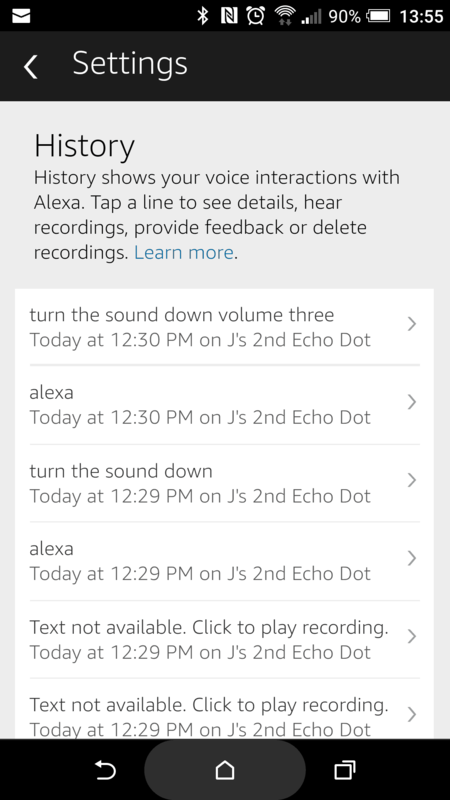 The inherent nature of voice assistants runs counter to privacy. Even if you take all the precautions listed above, you are still inviting a third party into your home to listen to your every word. They require your data to function. If that’s something you can’t bring yourself to overlook, then the only advice we can give is this: don’t buy it.